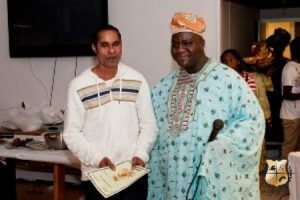 – To integrate the whole Yoruba`s living in Sweden into the Swedish society and to assist the newly arrived to get accommodation and jobs. 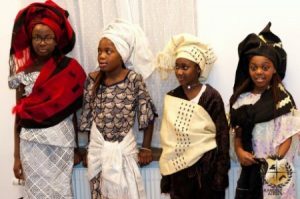 – To encourage the Yoruba`s that live in Sweden to contribute their quotas to the development of both countries, Sweden and Nigeria. 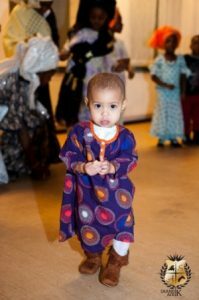 – To impart the Yoruba/Swedish culture and history to our children. 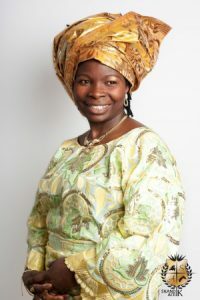 – To encourage the Yoruba descendant that lives in Sweden to have shared values. 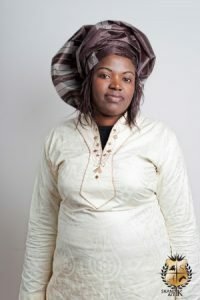 – To promote unity, solidarity, cohesion and cooperation among the Yoruba`s living in Sweden. 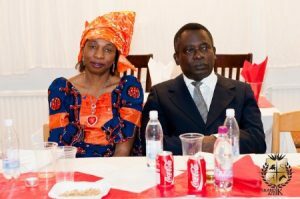 The association also used the occasion to honour some of their members like Mr Samuel Osunware, Mr Tony Wahab and Mr Oke Masima. 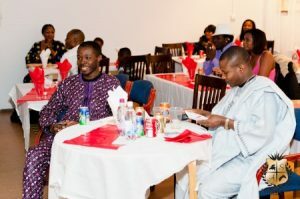 Guests at the occasion had the opportunity to choose from different Yoruba food that was prepared, while the Dj. 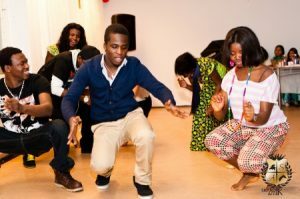 entertained the audience with Yoruba music. 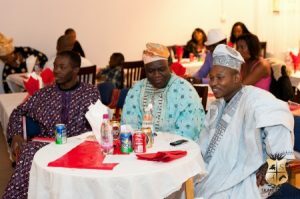 In complete Agbada outfit is Nigeria family Association president Mr Francis Ijenyo with Mr Williamson.